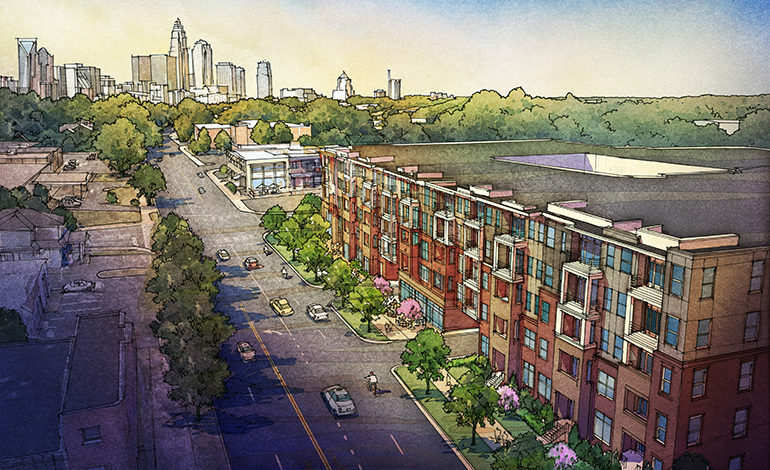 Located in the Plaza Midwood area of Charlotte, 1201 Central will be a new high end apartment neighborhood. This residence captures the essence of living in close proximity to Uptown in the hip neighborhood that the Plaza Midwood area provides. McAdams provided full entitlement, design and engineering services for the 4.25-acre site. Specific attention to the streetscape, corner entrance plazas, courtyard amenities, and details have been designed to embrace the plaza Midwood area plan. 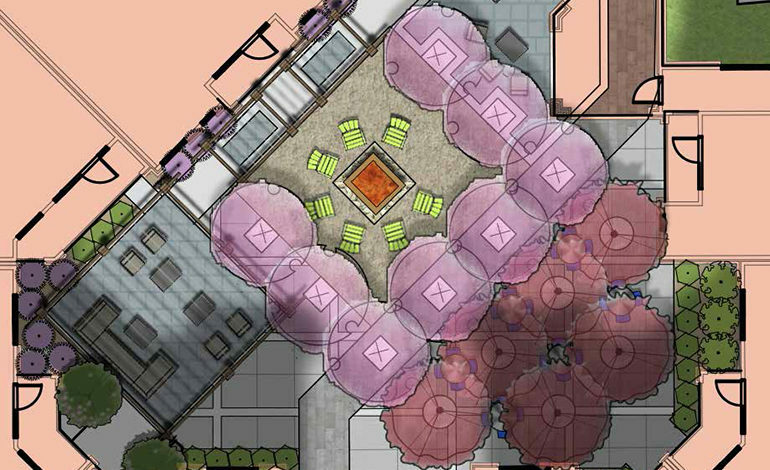 The team worked closely with the City of Charlotte Urban Review staff to design features which would positively add to the character of Plaza Midwood and to detail plans which were conceptually laid out in the City’s plan. Working with the Charlotte Department of Transportation, a new Right of Way was established, on-street parking was added, and wider sidewalks were placed along Central Avenue and Hawthorn Lane. Also, planning for the future street car and embracing multi-modal transportation, the team worked with Charlotte Center City Partners to locate a bicycle station within the streetscape.